Marketing your business on Facebook is one of the most effective ways to reach and target audiences through social media. With 2 billion monthly active users, it’s no wonder as to how Facebook is able to reach such a massive audience. 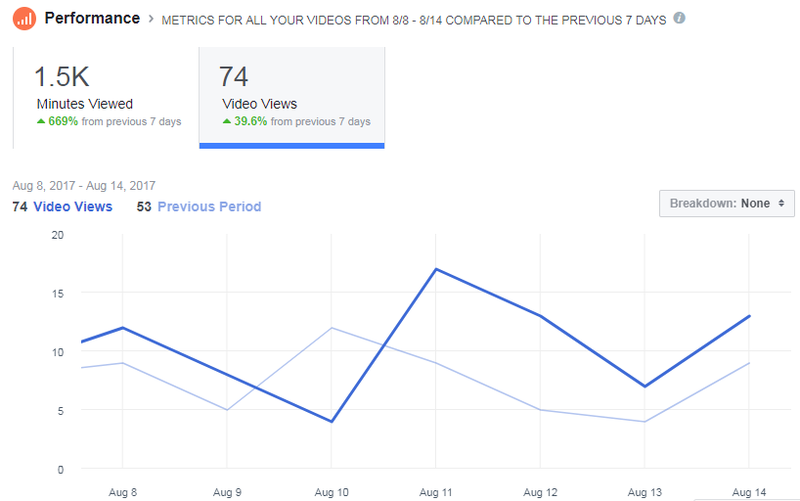 However in order to achieve successful results with your Facebook marketing efforts, it’s important to fully understand and take advantage of the platform’s analytics tools. 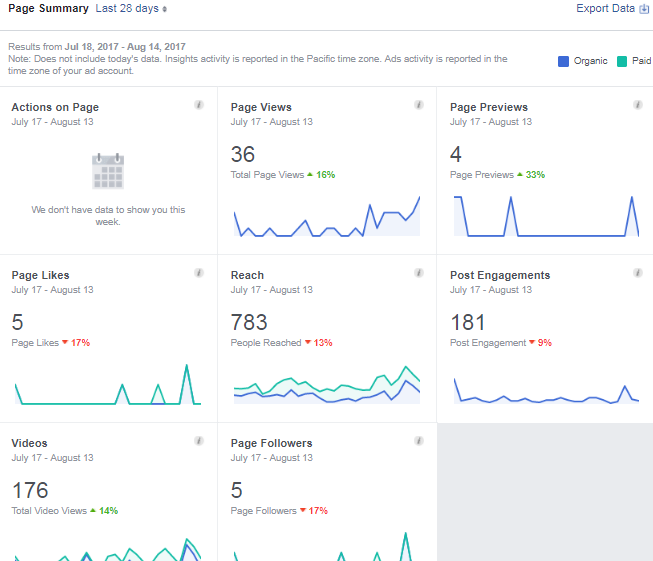 Page Insights is one of the most powerful analytics tools available for businesses to use on Facebook. It provides you with insights into which members of your audience engage with your page the most and helps you understand how your content and overall Facebook strategy are performing. It’s crucial to measure the results and success of your marketing efforts on Facebook to see what areas in your strategy need improvement. Using Page Insights and analytics can help you significantly boost your social media marketing performance. Facebook’s Insights caters to provide the best user experience along with an impressive amount of valuable data for businesses to take advantage of. The massive amount of data can be fairly overwhelming for those who’ve never used it before. 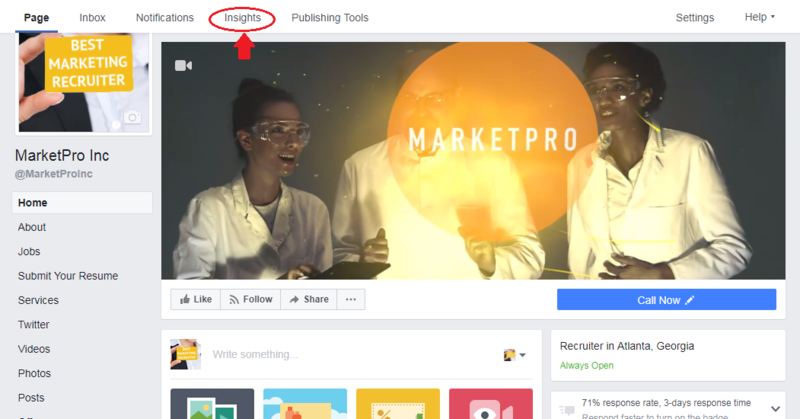 Are you new to Facebook analytics and insights? No worries, we’ve got you covered with all of the basics to help you become a Facebook marketing pro! From there, you’ll be able to see the various tabs that provide you will all of the glorious data Facebook analytics has to offer. The Page Summary section under Overview is helpful in getting a brief evaluation of your page’s overall performance. 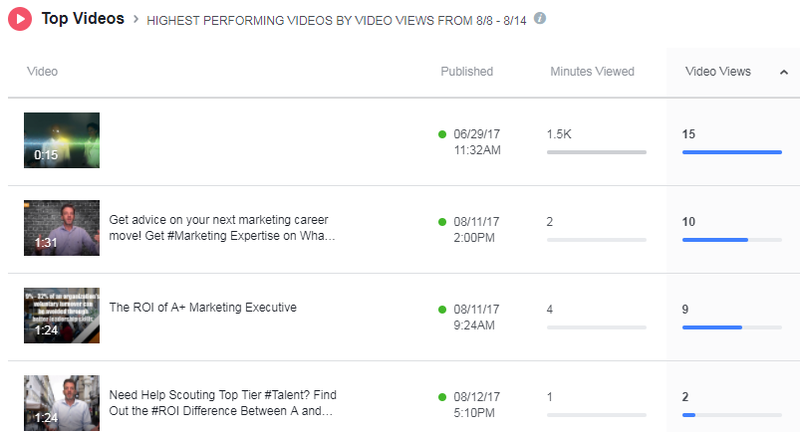 Here, you can see key data points from your 5 most recent posts such as the date it was published, type, targeting, reach, and engagement. This section gives you a quick look at how your most recent posts are performing, helping you determine which ones are driving desirable results. You can also export your Page Summary data into a CSV or Excel file for more in-depth analysis of the data. 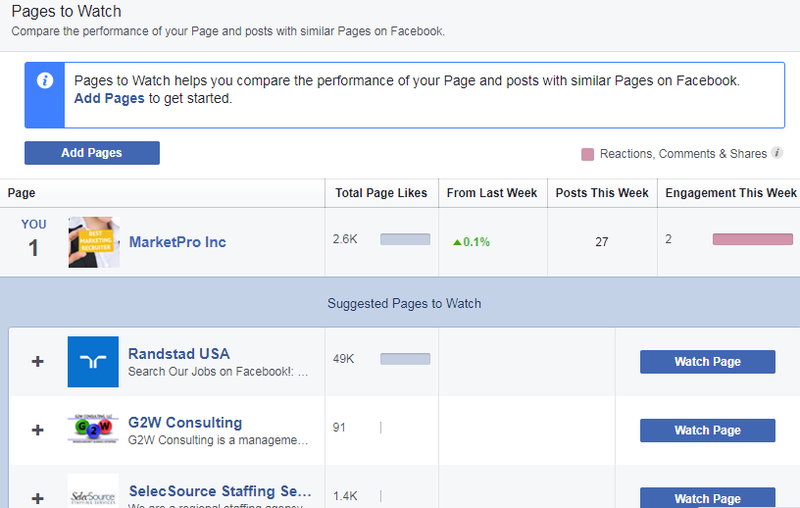 Under Pages to Watch, you can see the performance of businesses on Facebook similar to yours. By choosing to watch a specific page, you can see its top posts from the week. This is a great way to help you compare your page against competitors and gauge the performance of their content to keep up with trends and industry news you may not be aware of. 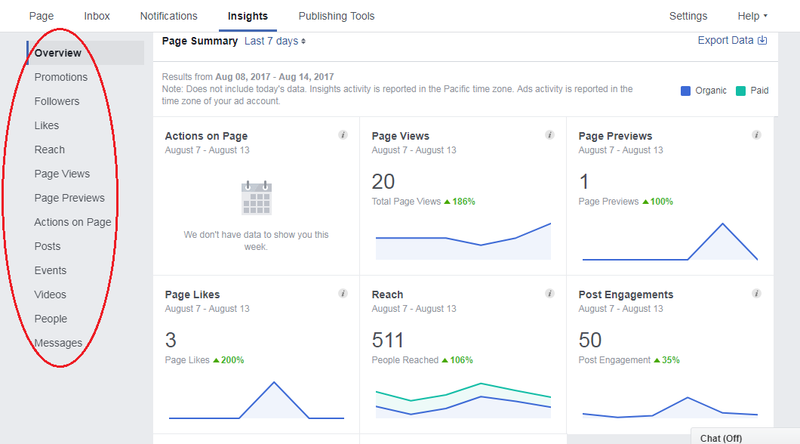 This section shows your page’s total likes as of today and breaks it down further by each specific day, over a 28-day period. Net Likes shows you the total number of new likes minus the number of unlikes your page has acquired, and displays whether they were organic or paid. 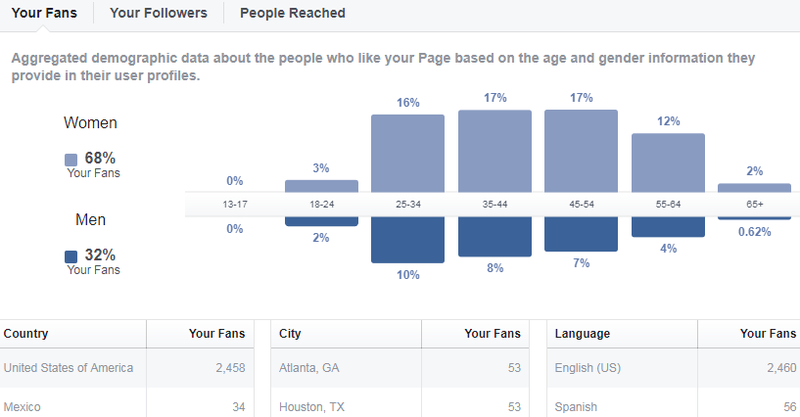 Simply put, this section breaks down where exactly your page Likes occurred. For example, you can see if they came directly from your page or from search results. 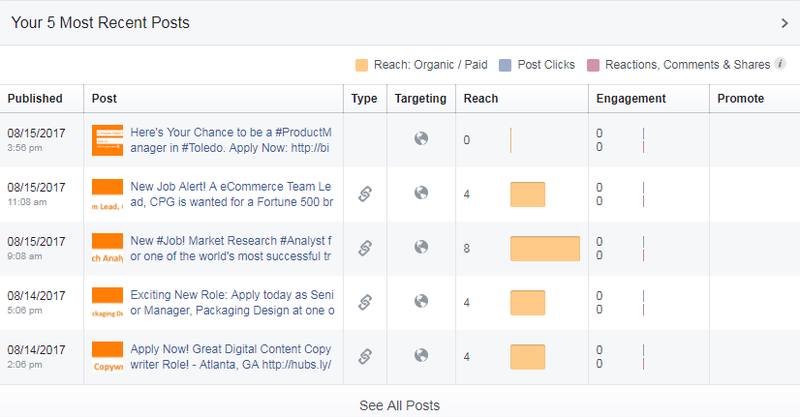 Post Reach shows you the number of people your post was served to, broken down into paid and organic reach. Here, you’re able to see Likes, Comments, and Shares broken down into specific days. Keep in mind that this type of positive engagement signals to Facebook that you have great content and thus helps you reach more people. In contrast to positive feedback, negative feedback like Hide, Report as Spam, and Unlikes will deter your posts from reaching more people as Facebook sees this as an indication that your posts don’t want to be seen. 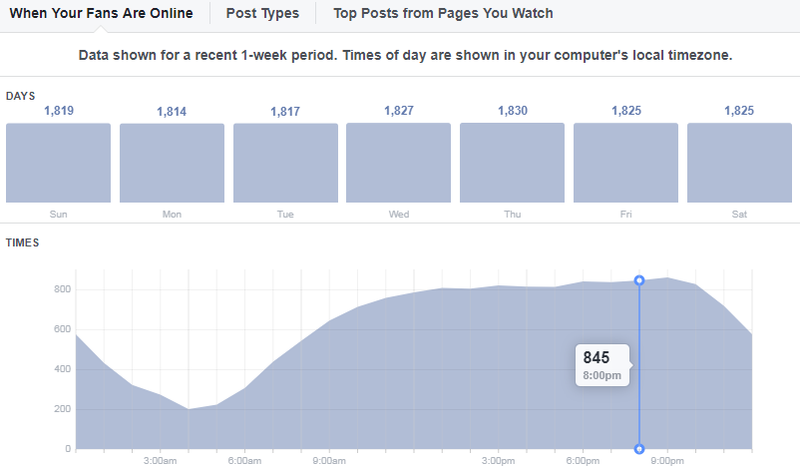 Total Reach shows you the number of people who were served any activity from your page. This section is a good way to assess how your posts (organic or paid) are growing and performing. This section shows you when exactly the people who like your page are on Facebook. You can use this data to optimize the times you choose to post your content for better reach and engagement. Post Types shows the success of the various types of posts you’ve published based on average reach and engagement. If you see that a certain type of post has better results, you want to adjust your strategy to post that specific type of content more than one that isn’t performing so well. This section displays the engagement of the top posts from the Pages you’re watching. This is similar to the Pages to Watch section under Overview, and can be used to gauge what type of content is performing well on other pages. You can access all of the posts you’ve published under this section, along with all of the appropriate information like date published, type of content, targeting, reach, and engagement. This section displays the number of times your page’s videos were viewed for 3 seconds or longer. This shows the number of times your page’s videos were viewed for 30+ seconds. If the video is less than 30 seconds, it counts if people view at least 97% of the video. This section shows your page’s most viewed videos that are watched for 3 or more seconds. 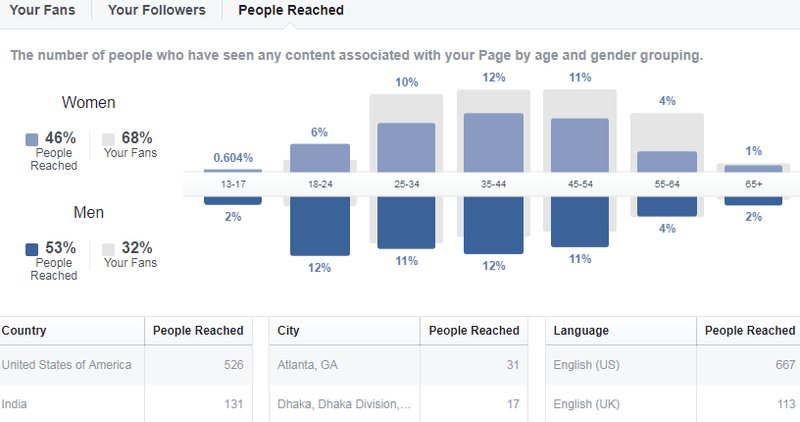 Under this section, you get access the gender, age, location, and language of those who like your page. You can hone in on the specific demographic that engages with your page the most and adjust your strategy to better target them. Under People Reached, you can view the people your post was served to over the past 28 days. Discover who has liked, commented on, shared, or engaged with your page over the past 28 days. You can assess who in your audience engages with your page the most and effectively tailor your content toward them. Page Insights provides users and businesses with more data points than any other social network. The abundance of data and analytics Facebook Insights provides is endless and should be taken advantage of to improve your Facebook marketing strategy. Facebook is the biggest social media platform and is a tremendous opportunity for businesses to reach their targeted audiences and effectively cater to them. Don’t miss out – if you approach Facebook marketing correctly, you will see a significant improvement in KPIs and overall results from your digital efforts.